Hello. Today I have a Christian Sympathy card to share with you. 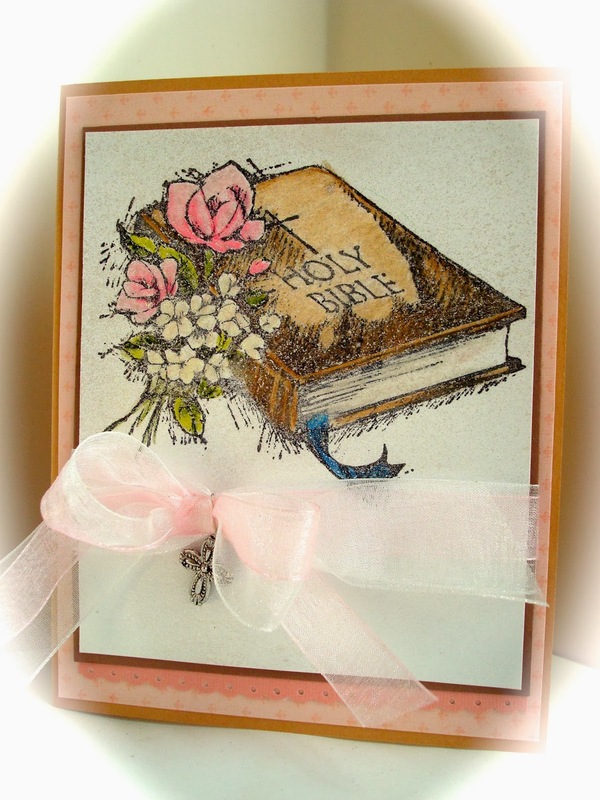 Whenever I have to make a sympathy card for Christian believers, I love to use this classic Holy Bible image from Hero Arts. 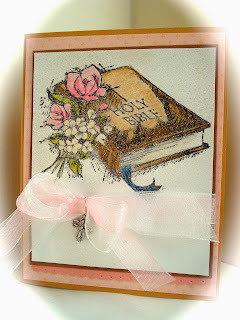 This is such a beautiful stamp, and can work for so many other religious occasions too. I've used it for baptisms, encouragement, get well cards, even weddings. To make this card, I simply stamped the large image onto card stock and colored it in. Then I spritz'd it with some glimmer mist so that it had a beautiful iridescent shimmer. A simple organza ribbon and a silver cross charm were added for embellishment. A sympathy sentiment is stamped on the inside of the card. Great card Amy, your colouring is very sweet ! Gorgeous work Amy the card is so beautiful.